Yes, you can have cookies for breakfast. 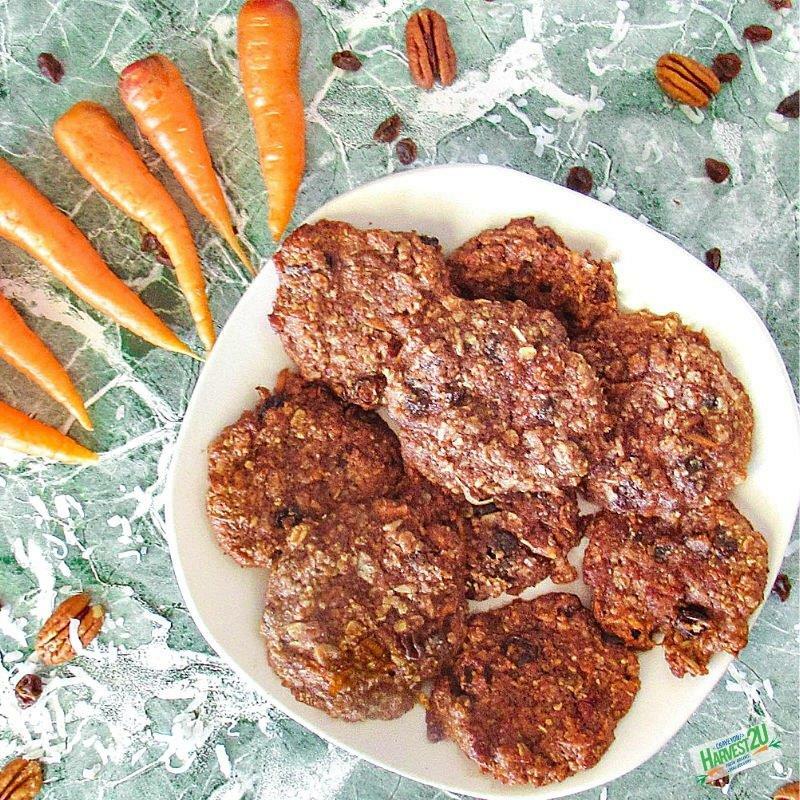 As long as they are healthy like these Carrot Cake Breakfast Cookies. I make them ahead so we can grab them and go on those busy mornings. Carrots are the star of this recipe of course. They are loaded with fiber, antioxidants and vitamin A among other micronutrients. Oats give you fiber to help fill you up and fuel your day. Then we load in the healthy fats and protein from the nuts and coconut and add just a touch of sweetness with either honey or maple syrup (I used a bit of both). In a food processor, pulse together 1/2 cup each oat, pecans and shredded coconut to form a flour-like meal. In a mixing bowl beat two eggs until light. Using a cookie scoop (or tablespoon) drop on to a baking sheet leaving room for them to expand. Flatten the cookie slightly in the middle. Bake at 350 degrees for 10-15 minutes until cookies look thoroughly baked. Transfer the Carrot Cake Breakfast Cookies to a cooling rack to cool.